Summer weddings are amazing because you can arrange them nearly anywhere you can imagine. Arranging your summer wedding indoor or outdoors is possible. If you are planning to have summer wedding then here we have given you a few tips to plan your summer wedding wonderfully. • You need to select the setting for your wedding. Opting for an exciting beach wedding or a backyard wedding a classy garden wedding are a few of the best settings. Selection of the setting completely depends on your interests. Decide on the scenery with your partner, as wedding is a big day for both of you… Furthermore, determining these small things together is the first step in moving forward your relationship after marriage. 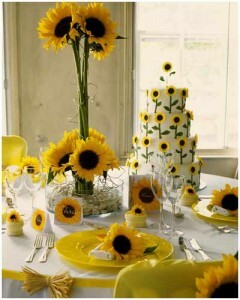 • Selecting the best summer wedding theme is an important part of summer wedding planning. Summer wedding themes may incorporate the seashore, beach and the garden. Also, building harvest theme is also possible across the ease of attaining fresh fruits and vegetables. • You need to book a summer wedding menu, which will be favored by guests. You can add fresh fruits and vegetables into the menu like spinach, strawberries and watermelons. You can also include seafood, which is the best food choice for summer time. Seafood like fish, oyster, etc is one of the best options for any kind of menu and is also affordable. Therefore, choosing seafood is a smart option for upgrading your wedding food list. It does not matter what food list you go for, you must always take into consideration the special choices of your guests. Above given ideas will surely help you in planning your summer wedding wonderfully. Freedom: How Do You Define It?